A few days ago, the government announced its decision to hike import tax on mobile phones, video cameras, and televisions in an effort to push the 'Made in India' initiative. After the hike, Apple has refreshed the pricing of the iPhones available in the country. All devices have seen a rise in prices, except for the iPhone SE, which is assembled in India. 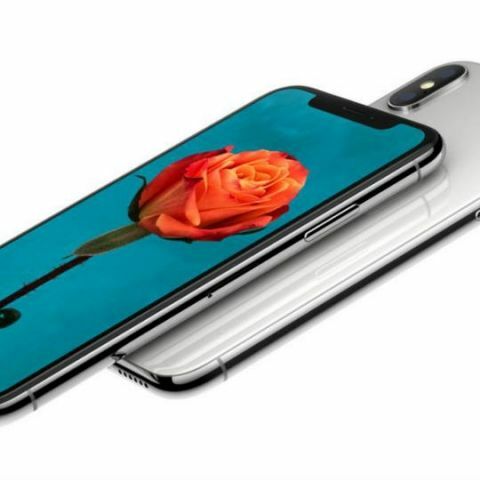 The top of the line iPhone X 256GB, which was priced at 1,02,000 is now priced at Rs 1,05,000, which is a price rise of 3.6 percent. The iPhone 8 64GB, which was priced at Rs 64,000 is now available at Rs 66,120, a price rise of 3.3 percent. The iPhone 6, which was a sub 30k phone at Rs 29,500, has seen a 4.3 percent price rise and will now sell for Rs 30,780. 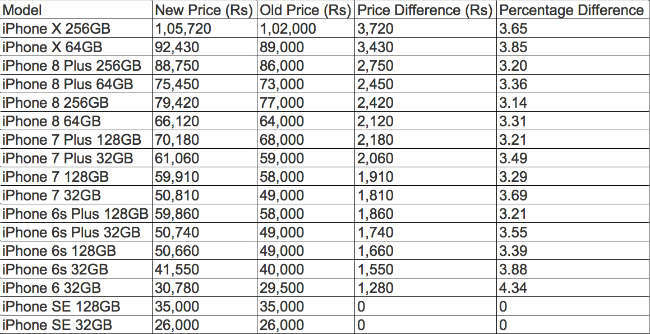 Below is a list of all the iPhones available in India along with the price change. The above-mentioned prices are the maximum retail price of the smartphones. They are available at a lower cost via online and off-line retailers and through cash back offers. Apple is premium smartphone brand and a hike of 3.5 to 4 percent shouldn't really hit the company’s sales hard. Since Apple imports more than 88 percent of the iPhones sold in India, it will be a while before we see more 'made in India' iPhones. Apple iPhone 5s, iPhone 6, iPhone 6 Plus discontinued? Apart from phones, the import tax has affected video cameras as well as TV’s. So expect the price of electronics to rise the next time you are out shopping.